The ultimate anti-fatigue solution for all areas requiring superior comfort in every condition, including wet, oily, and slippery. 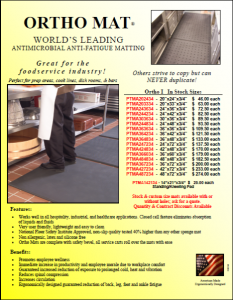 World famous for food prep areas, cook lines, industrial, and health care applications. This is the only mat offered with an anti-microbial agent IN the material to prevent mold, mildew, and bacterial growth. 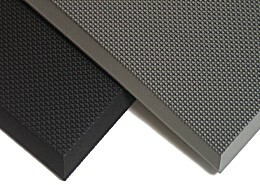 The softest most comfortable place to stand is on an Ortho Mat®.